ParquetSharp is a .NET library for reading and writing Parquet files. It's implemented in C# as a PInvoke wrapper around apache-parquet-cpp to provide high performance and compatibility. Apache Arrow is a cross-language development platform for in-memory data. 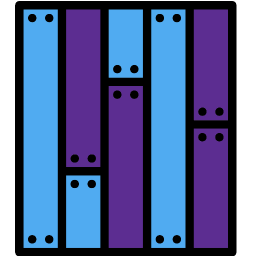 It specifies a standardized language-independent columnar memory format for flat and hierarchical data, organized for efficient analytic operations on modern hardware. Allows you to build .NET applications in C#, VB, or any other .NET language, using a single API to connect to multiple different providers. FluentCassandra is a .NET library for accessing Cassandra, which wraps the Thrift client library and provides a more fluent POCO interface for accessing and querying the objects in Cassandra. The CData Apache HBase Data Provider allows you to use standard drivers to access data from an Apache HBase database.